Welcome to my seventh Goodreads Giveaway! 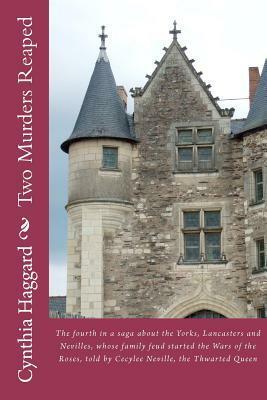 Here is another chance to win a FREE AUTOGRAPHED paperback of TWO MURDERS REAPED. What would you do if your husband fled the wrath of the Queen? Face down the whole of the opposing army with three children? Giveaway ends April 13, 2012.